Thank you for this post. I did not know C. R. Das. Point # 2 is particularly interesting to me, in light of recent considerations of exactly how to escape the fetters that bind the mind. I would like to read the works of Mary Parker Follett, and compare them to Iqbal. I am sure he must have excelled in everything,which is why his parents named him Chittaranjan,a charming intelligent man.His view that it is impossible to attain freedom by violent means,is so true and he had proved it by giving concrete examples.I agree wholeheartedly that individual,society and nation are interconnected in a spiritual manner. This is a very important post and does teach us a lot of things that we sometimes ignore. While I am not conversant on some of this post, I'm impressed that as usual (for Shafique Sahib's posts) it's arranged with a great degree of clarity in both presentation & content. "It is impossible to attain freedom by violent means. Das quoted several examples from history ...Iqbal must have agreed most completely with this thesis (and it fully resonated in Iqbal's poem 'The Dawn of Islam'"
"Individual, society, nation and humanity are interconnected in a spiritual manner. This is mainly the idea in which Iqbal noticed an affinity to his own philosophy...Das actually quoted at length, with acknowledgment, from The New State (1918), a groundbreaking book by the American writer Mary Parker Follett. Follett had proposed a blueprint for a "spiritual" kind of "new democracy" in America, and a comparison of her book with the writings of Iqbal can bring a few more surprises..."
With anticipation, I do look forward to excerpts from your coming book, Shafique Sahib, to be translated for our benefit from the Urdu. We Westerners need to be taught these histoical/international connections more now than ever. We need so deeply to know that we have some solid commonalities as quite a few of us in the US & the UK want to re-discover that in our nations of which we can be proud. We want to return to the best aspects of our roots & to help redesign peacefully & with greater awareness an even more viable, less harmful America than ever before. I am envisioning that many of our displaced persons/immigrants/goodwill visitors/ambassadors might well help us in this crucial/timely endeavor. Perhaps both our nations can also help one another in these efforts as more of a focus instead of the military being our major if not our only interdependency. All our nations might visualize a chronological as well as a spiral where we connect. At least the West could see as very possible that just as we have regressed, we can once again gain positive momentum -- if inch by inch. We can all gain some ground & teach our young to do the same. One day our historical spiral might reach even beyond what we thought was our most democratic and life-giving eras. 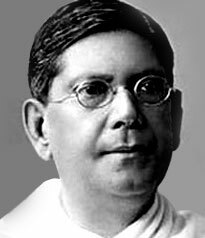 It shows the character of a man, C.R Das, was a magnanimous politician, poet of India, a secular in character and liberal in attitude. but, unfortunately, he is the most neglected leader in Indian media and among the Indian political fraternity, i am sure, if he would have been alive this time the stake of Indian occupied Kashmir could have been different.